Sally Handlon is founder and president of Handlon Business Resources (HBR) LLC, a WBENC Certified business, located in the Lehigh Valley, Pennsylvania. 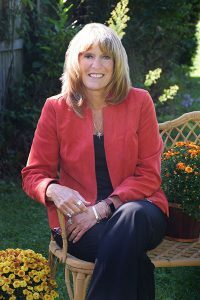 She is a 2007 recipient of the PA Best 50 Women in Business, 2004 recipient of the US Small Business Administration Women In Business Advocate – Philadelphia Region, The Morning Call’s – Lehigh Valley “30 Who Shape the Valley” and “Women to Watch” as well as Niche Magazine’s Top 100 Retailers Nominee. In 2011 she became the recipient of the Lehigh Valley Suits Award representing Management Consultants. Other awards include the Chamber’s Athena Award(1988) and The Hillside School Service Award(1996). In 2014 she was selected as “MVP” by the Lehigh Valley Economic Development Corporation. Active in the Lehigh Valley community for many years, Sally has been involved with civic and business groups in Allentown, Bethlehem & Easton. Sally is currently active on the Lehigh Valley Economic Development Corporation’s Board of Directors and chairs the Local Sourcing & Business Diversity Council. She is the facilitator for the Mayor’s (Bethlehem) Business Advisory Committee, Board member of the Moravian Book Shop and recently elected to the Rising Tide Board of Directors. Prior involvement includes being very active in the Greater Lehigh Valley Chamber of Commerce chairing several standing committees (Small Business Council Board as President and chair of the Excellence in Business Awards, Masterminds and member of the Program Committee; founding member of the Women’s Business Council of the Chamber (1982), Finance Committee member). She, along with Cleo Smith (Cleo’s), co-founded south Bethlehem’s First Friday in 1998 when she created “legends, Traditions & friends,” a gift gallery celebrating the talent and spirit of the Lehigh Valley. Prior board involvement includes: Greater Lehigh Valley Chamber, Small Business Council, DBA- Bethlehem Merchants Association, SouthSide Film Institute, South Bethlehem Historical Society, Executive Women’s Council, Allentown YWCA, Allentown Neighborhood Housing Association, Whitehall Area Chamber of Commerce, Upper Perkiomen Valley Chamber of Commerce and The Hillside School. She has been keynote speaker at area events as well as presented position papers at the American Bankers Association in Atlanta, Retail Lending conference in Boston and the Iacocca Institute at Lehigh University. She is a past senior seminar advisor for Cedar Crest College and is currently a member of the Women’s Leadership Advisory Committee. Sally currently is a monthly community host for Lehigh Valley Discourse on WDIY 88.1 fm, the Lehigh Valley’s NPR station. Her show focuses on business in the Lehigh Valley.